Come and discover the ancient Paços do Concelho at Praça da República Square, in Viana do Castelo, Portugal. The old Paços do Concelho is located in the majestic Praça da República Square, in the touristic town of Viana do Castelo in Minho, Portugal. 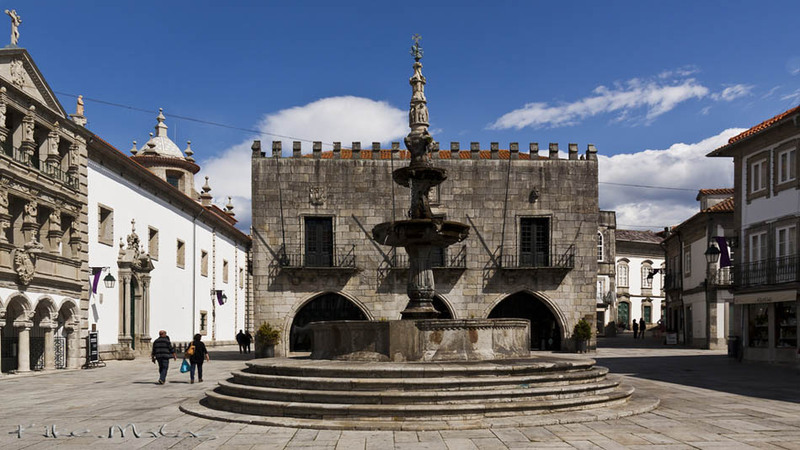 The old Paços do Concelho, although resembling a fort, is indeed the old town hall of the city, from the 16th century, and is currently used to hold contemporary art transitory exhibitions. 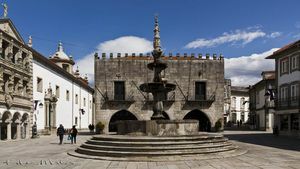 Along with it goes the elegant Plaza fountain, an elegant Renaissance fountain built by João Lopes "The Old Man" in 1554. It is adorned with spherical astrolabe Manueline motifs and the cross of the order of Christ. Here you will also find the Misericórdia Church. Praça da República, Viana do Castelo, Portugal.